Filed under apple on September 03, 2009. 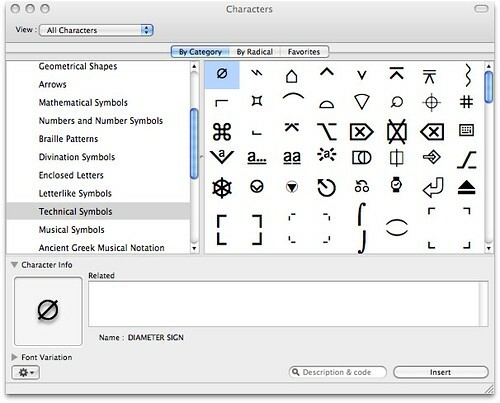 The Characters window provides access to every symbol available. If you need arrows, math symbols, music notes or any other obscure symbol, this is the place to begin looking. If you just need access to standard symbols, try using the on screen keyboard to quickly located them following the steps below. 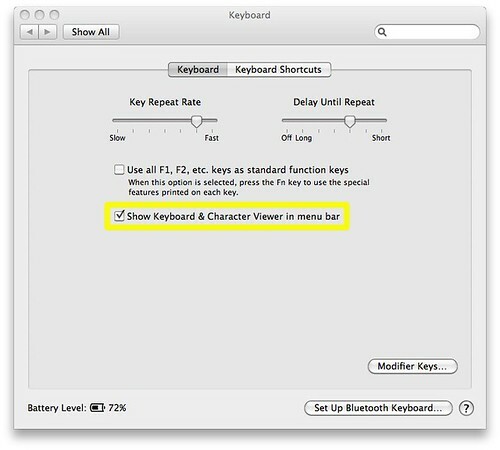 As noted in the images, if you hold down the Option key (⌥), or the Option + Shift key (⌥+⇧), the keyboard will change to display the characters available using normal keyboard shortcuts. Enjoy having access to every symbol conceivable for your documents.